Ballzauber *Ps* was approved by the Trakehner Verband in 2006 with the following official comments from the inspection commission: “Modern sport horse stallion with great lines and good frame on a correct foundation; will mature significantly; excellent jumper with good scope, technique and oversight, always motivated; moves with great ease and impulsion of all three paces. Great Trakehner breeding type.” He went on to finish his 30 day test at the State Stud of Prussendorf in 2007 with the following scores: Dressage 8.36, Show Jumping 8.07, with a total score of 8.31, placing him in the top five of that year’s Trakehner stallions in 30 Day Tests in Germany. He passed his 70 day test in 2008 with a Dressage Index of 123.51, Jumping Index of 112.83 and an Overall Index of 123.71. In 2009, he won the Budeschampionat Qualifier at Badendorf in Germany with the exceptional score of 8.7. Comments from the Hengst Market Sales Catalogue: “Ballzauber has now become one of the most interesting young sires, also due to the qualities under saddle. Following in his sire’s footsteps, this young, athletic talent demonstrates ideal impulsion and wonderful movement. 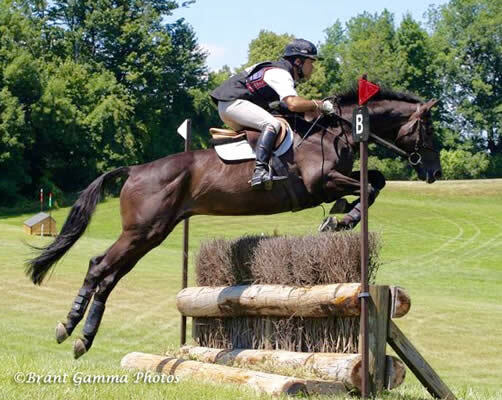 His pedigree is a reliable recipe for dressage potential, combining in close succession the sires of Axis, Kapriolaf, and Giorgio Armani, all of them dressage horses to the highest levels, with one of the most proven performance dam line, the line of Bergfriede.” Since being imported to the United States, Ballzauber has competed with success in Eventing to the Preliminary Level, along with the occasional Jumper show. 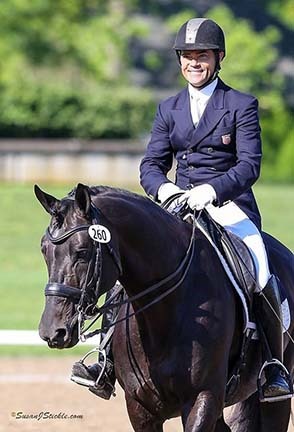 In 2013, he was the Co-Reserve Champion Horse of the Year for the ATA in Schooling Jumpers as well as the Reserved Champion Horse of the Year in both Second and Third Level Dressage. 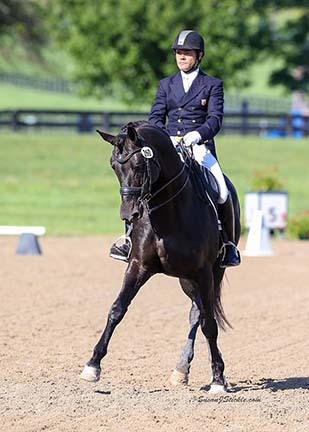 He has been primarily focused in Dressage for the last year. In 2017, Ballzauber debuted at the PSG Level with scores in the mid 60's earning him his Performance Silver (*Ps*) designation from the American Trakehner Association. In 2017 he also won Grand Champion stallion at the New England Dressage Association Region 8 Championships, and ATA Horse of the Year Open 4th Level.